Solar power system is exported and supplied from our Singapore based unit. 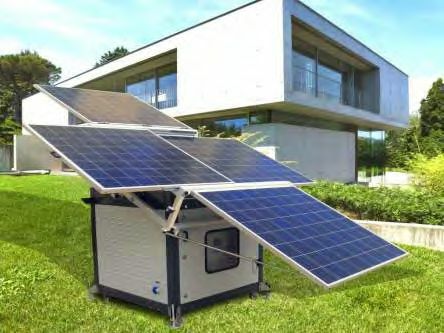 This product is available in the range 0.3KWP to 5 KWP and operates on Hybrid solar systems. AC mains Power, Solar Power and DG power are utilized for its functioning. We also have a reverse power protection for this product. The product comes with a battery backup of 2 to 12 hours and has a built in inverter with a power rating of 0.3 to 5 KVA. Solar power systems find application in lights, fans, refrigerators and television sets with easy installation.